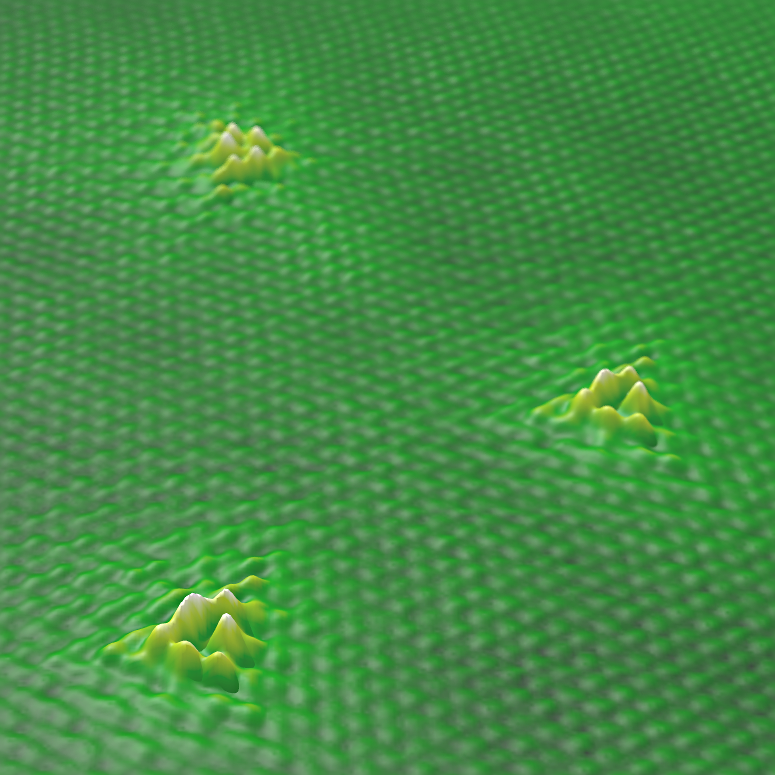 Since the discovery of graphene, the discoveries and research of new 2D materials has attained a lot of inertia. In our experimental setups, we mastered preparation and doping of graphene on silicon carbide and metal supports. We regularly use it in our experiments, whenever a low-reactivity substrate is needed. On the other hand, when the electrical conductance of the substrate needs to be decreased,we are able to synthesize semi-insulating films of 2D materials like Boron Nitride or Iron oxide. In parallel, we investigate potential formation of 2D oxides directly from their respective bulk materials, i.e. FeO2 from hematite.